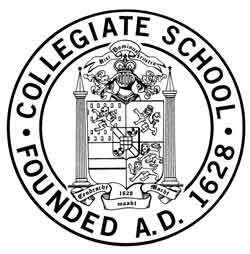 Collegiate School is a K-12 boys school of approximately 640 students located on the Upper West Side of Manhattan. Founded in 1628, it has maintained a reputation of excellence in boys' education and is particularly known for the strength of its academic programs, for the warmth of its community, and for the loyalty of its students and alumni. Throughout the school, we seek teachers who are knowledgeable in their disciplines, passionate about teaching, and eager to help students become independent adults and responsible leaders. We seek teachers who are inspiring and supportive in their work with boys, who are willing to teach beyond the classroom, and who share our belief in the values of collaboration, respect, and diversity. Candidates should let us know of their interest by submitting a résumé, the names and contact information of three references, and a letter of intent describing their experience and interest in the position. Please click the Apply Now button below for the position that you are interested in.